All fields must be filled in Latin symbols. Payment can be done by credit card or bank transfer. To pay by bank transfer, please finish the registration and check your email for bank details. Please provide below a correct billing information as it will be submitted to Tax Authorities. Only applies if the invoice is issued to a company. If not applicable, please write 0. Only applies if company is VAT payer. Please make sure you enter correct details. If not applicable, please write 0. If you have discovered about this Course from our Ambassador, please let us know his/her name. Do you need a translation to Russian language? The interpretation at extra fee will be provided only if a group of 50 people is gathered. By registering for this event, you (the delegate) agree that your personal data will be processed for registration and handling purposes, as well as to send you information in connection with the event. Any personal data will be solely used in accordance with current EU data protection legislation(GDPR) and will not be disclosed to a third party without the attendee’s written consent. If you do not submit the data indicated as 'required', we cannot complete your registration. 1.2. The Website is administrated by UAB “Reface”, address of registration: Vytenio str. 22-201, LT-03229 Vilnius, company code: 303235572, acting as a provider (hereinafter – the Provider) of website-related services. 1.4. Before using the Website You as a user of the Website (hereinafter – the User) must thoroughly read and get acquainted with this Policy. By using services provided via the Website, you confirm that you agree to adhere to this Policy. 1.5. If You disagree with the Policy or a certain part of it You must not use services of the Website and its database. Otherwise it is presumed that You have got acquainted and unconditionally agreed to adhere to this Policy. 1.6. Provider does not take any risk or responsibility and is unconditionally exempt from it if You did not get fully acquainted with this Policy despite having an opportunity to do so. 1.7. Without prior warning, the Provider has the right to limit the use of the Website services if the User is using the Website in a way that violates this Policy, tries to compromise stability and safety of the website. 1.8.1. Personal data shall be collected in specified, explicit and legitimate purposes. 1.8.2. Personal data shall be processed accurately and fairly. 1.8.3. Personal data shall be consistently updated. 1.8.4. Personal data shall be kept for no longer than is necessary for the purposes for which the personal data are processed. 1.8.5. Personal data shall only be processed by the employees that have such right. 1.8.6. All information on the processed personal data is confidential. 1.9. By using services of the third parties such as Facebook social network services, third party terms and conditions may apply. For example, Facebook provides the Data Policy to their users and visitors. Thus, by using services provided by such third parties, it is recommended to get acquainted with terms and conditions they apply. 1.10. This Policy has been prepared in accordance to the Regulation (EU) 2016/679 of the European Parliament and of the Council on the protection of natural persons with regard to the processing of personal data and on the free movement of such data, and repealing Directive 95/46/EC (General Data Protection Regulation, hereinafter – the GDPR), the Act on Legal Protection of Personal Data of the Republic of Lithuania, other laws of the European Union and the Republic of Lithuania. 2.1. By providing Your personal data You agree to the Provider controlling that data and processing it for purposes and by means and order laid out in this Policy and laws. 2.2. By providing personal data You give the Provider the right, for the purposes laid out in this Policy, to collect, store, accumulate, classify, use and process any and all personal data that You directly or indirectly provide by visiting the Website and using its services. 2.3. You are responsible for ensuring that the data provided in the form would be precise, correct and detailed. Input of incorrect data is considered to be a violation of the Policy. The Provider shall under no circumstances be responsible for damages that may arise for the User and (or) third parties if the User provided incorrect and (or) undetailed personal data or did not request supplementation and (or) correction of data. 3.1. By carrying out its business activities, the Service Provider provides the Clients with information about the conference that the Service Provider organizes via the Website. Therefore, according to Article 6 (b), (f) of the GDPR, it processes personal data as a data controller who aims to register Client to the conference and provide more information, as well as for direct marketing purposes. Processing is also necessary for the purposes of the legitimate interests pursued by the Provider. 3.3. Data in the database is collected by receiving it directly from the Clients. 3.4. Access to the Clients` personal data is granted to the Service provider staff and conference organizing partners (with whom the Provider has concluded agreements), acting as the data recipients. 3.5. The Website may also be accessed by IT service and server hosting providers acting as the data processors, with whom the Provider has concluded data processing agreements. 4.1. By processing and storing personal data of the Users, Provider shall implement organizational and technical measures that would ensure protection of personal data from accidental or unlawful destruction, modification, disclosure and any other means of unlawful processing. 4.2. Personal data of a User provided via Website shall not be stored for longer than required by the purposes of personal data processing. When the personal data becomes no longer necessary in relation to the purposes for which they were collected and/or the storage period ends, it shall be safety disposed. 5.1. You as a data subject shall at any time have the right to access his/her personal data processed by the Provider after making a request and receive information on how it is processed, exercise his/her right to rectify their incorrect, incomplete, inaccurate personal data, ask to suspend personal data processing actions when the data processing does not comply with laws and requirements of this Policy. 5.2. Insofar as the data processing is based on consent You shall have the right to subtract Your consent at any time with no effect to the lawfulness of processing based on consent before its withdrawal. 5.3. If You require to make a complaint on how the Provider treats Your personal data You can get in touch with us via contacts provided in paragraph 1.3. for investigation of those matters. 5.4. If You are not satisfied by an answer of the Provider or think that it processed your personal data in a way that does not comply with the legal requirements You can make a complaint to the State Data Protection Inspectorate of the Republic of Lithuania. 6.1. Law of the Republic of Lithuania shall be applicable to the legal relationships related to this Policy. 6.2. Provider of the Website is not accountable for the damages, including damages resulting from interference of the Website usage, damage or loss of data arising from an act or omission by the User or third parties acting on behalf of the User, including incorrect input of data, other mistakes, conscious malicious behavior and other wrongful use of the Website. Provider shall also not be held responsible for any interference of the Website log in/usage and (or) damage resulting from them that arises from acts or omission of third parties not associated with the User, including issues with electricity, web access, etc. 6.3. Provider has the right to change this Policy in part or in full. 6.4. Changes of or additions to the Policy shall take effect from the date of their publication in the Website. 6.5. If a User continues to use the Website and its services after the Policy has been updated or changed, it is presumed that the User agrees to such additions and/or changes. The website ttps://bscoso.com is owned, operated by UAB “Reface” (legal code 303235572) and is provided for your personal, non-commercial (B2C) use only, subject to the terms and conditions set out below. Therefore, you are not allowed to re-sell, use, copy, monitor, display, download, reproduce or use otherwise any content or information, software, services available on our platform for any commercial or competitive activity or purpose. „Terms and conditions“ (“Conditions”) – refers, collectively, to all the terms, conditions, notices contained or referenced in this document and all other operating rules, policies and procedures that we may publish from time to time on the website. If you do not agree to these conditions, do not use any of our services. 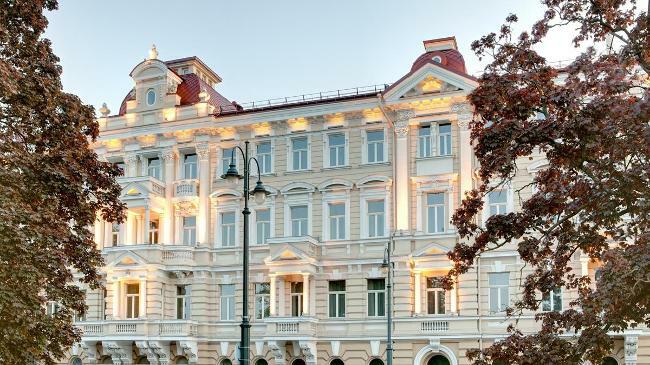 “Us”, “we”, “our” – means UAB “Reface” (legal code 303235572), a limited liability company incorporated under the laws of the Republic of Lithuania, and having its registered address at Vytenio str. 22-201, LT-03229 Vilnius and its affiliates. “Website” – means the website https://bscoso.com on which the service is made available and is owned, controlled, managed, maintained and/or hosted by us. “Services” – means provision of online Website. “Users” or “you”– users of Website. 2.1. By clicking the link “Register” and providing us your personal data, You agree that we will register You to the conference and provide notices and newsletters to you in the following way: a message sent to the contact information you provided to us (e.g., email, phone number). 3.1. We cannot guarantee that any request or communication will be (duly and timely) received/read by, complied with, executed or accepted. 3.2. We are not obligated to publish any information or content on the Website and can remove it in our sole discretion, with or without notice. 4.1.1. You can end this license for specific content except when deleting such information, the reasonable time is needed to remove the content from backup and other systems. Information, content provided by you, which shall be saved by us according to the applicable legal acts, shall not be deleted. 4.1.2. We will not include your content in advertisements to others without your separate consent (including sponsored content). However, we have the right, without payment to you or others, to serve ads near your content and information. 4.3. You agree to only provide information that does not violate the law nor anyone’s rights (including intellectual property rights). You are responsible for making sure that your use of the Services is in compliance with laws and any applicable regulations. 4.4. Using the Services does not give you any ownership in our Services or the content or information made available through our Services. Trademarks and logos used in connection with the Services are the trademarks of their respective owners. 5.1. We may change or discontinue any of our Services. We do not promise to store or keep any information that you have provided through the Platform (except for the data which storage is obligatory by the applicable law). 6.1. To the extent permitted under applicable law, we shall not be liable to you or others for any damages or any loss of data, opportunities, reputation, profits or revenues, related to the use of the Website. 6.2. We do not warrant that the Services will meet your requirements; that the Services will be uninterrupted, timely, secure, or error-free; that any defects or errors will be corrected; that the Services will be available at any particular time or location; or that the Services is free of viruses or other harmful components. You assume full responsibility and risk of loss resulting from your downloading and/or use of files, information, content or other material obtained from the Services. 7.1. To the extent permitted by law, these Terms and Conditions and the provision of our Services shall be governed by and construed in accordance with Lithuanian law and any dispute arising out of these Terms and Conditions and our Services shall exclusively be submitted to the competent courts in the Republic of Lithuania. 7.2. If any provision of these Conditions is or becomes invalid, unenforceable or non-binding, you shall remain bound by all other provisions hereof. In such event, such invalid provision shall nonetheless be enforced to the fullest extent permitted by applicable law, and you at least agree to accept a similar effect as the invalid, unenforceable or non-binding provision, given the contents and purpose of these Conditions. 8.1. If You have any questions regarding these Conditions please contact us learn@bscoso.com.